In the ever urgent work of winning souls for Christ, the Christian occasionally will encounter members of the Roman Catholic Church who note, with perhaps some degree of pride, that their version of the Bible contains more books than standard translations used by non-Catholics. More often than not, the average Christian is at a loss to explain why there are forty-six books in the Old Testament of the Catholic Bible, yet only thirty-nine books in the Old Testament of the common versions. The qualified teacher needs to be able to give a reasonable explanation to his Catholic friends for the absence of those seven books in the versions we use. The Apocrypha is a collection of documents, generally produced between the second century B.C. and the first century A.D., which were not a part of the original Old Testament canon. The names of these books are 1 Esdras, 2 Esdras, The Rest of Esther, Song of the Three Holy Children, History of Susanna, Bel and the Dragon, Prayer of Manasses, Tobit, Judith, Wisdom of Solomon, Ecclesiasticus, Baruch, 1 Maccabees, and 2 Maccabees. The last seven of these are incorporated into Roman Catholic editions of the Bible. The Catholic Council of Trent (1546) affirmed the canonicity of these books, as found in the Latin Vulgate, and condemned those who reject them. A plural form of the word is used in Colossians 2:3, where Paul declares that all the treasures of wisdom and knowledge are “hidden” in Christ. The adjective “apocryphal” has come to be applied to those books that do not bear the marks of divine inspiration. There are several reasons why the Apocrypha is to be rejected as part of the Bible. There is abundant evidence that none of these books were ever received into the canon (that which conforms to “rule”) of the Hebrew Old Testament. Although they appear in the Septuagint (Greek Old Testament—known as LXX), that is not necessarily a reliable criterion. Professor G. T. Manley notes: “[These books] do not appear to have been included at first in the LXX [third-second centuries B.C. ], but they found their way gradually into later copies, being inserted in places that seemed appropriate” (1962, 39). Philo Ignored: The Jewish philosopher of Alexandria (20 B.C. – A.D. 50) wrote prolifically and frequently quoted the Old Testament, yet he never cited the Apocrypha, nor did he even mention these documents. “We have not an innumerable multitude of books among us, disagreeing from and contradicting one another, but only twenty-two books, which contain the records of all the past times; which are justly believed to be divine” (Against Apion 1.8). By combining several Old Testament narratives into a “book,” the thirty-nine of our current editions become the twenty-two alluded to by Josephus. Missing from Ancient Lists: The most ancient list of Old Testament books is that which was made by Melito of Sardis (ca. A.D. 170). None of the apocryphal books were included (cf. Eusebius, Ecclesiastical History 4.26.14). Not Recognized by Origen, Tertullian: In the early third century A.D., neither Origen nor his contemporary, Tertullian, recognized the books of the Apocrypha as being canonical. Accepted by Low-ranking Church Officials: Though some of the apocryphal books were being used in the church services by the fifth century A.D., they were read only by those who held inferior offices in the church (see Horne 1841, 436). “Behold, I will send you Elijah the prophet before the great and terrible day of Jehovah come” (Mal. 4:4-5). This text pictured the coming of John the Baptist (cf. Mt. 11:14; Lk. 1:17). The implication of Malachi’s prophecy is that no prophet would arise from God until the coming of John. This excludes the apocryphal writings. It is true, our history has been written since Artaxerxes very particularly, but has not been esteemed of the like authority with the former by our forefathers, because there has not been an exact succession of prophets since that time (emphasis added). He further says that no one “has been so bold as either to add any thing to them, to take any thing from them, or to make any change in them” (Against Apion 1.8). F. F. Bruce contended that there “is no evidence that these books were ever regarded as canonical by any Jews, whether inside or outside Palestine, whether they read the Bible in Hebrew or in Greek” (1950, 157). Jesus, Disciples Never Quoted from Apocrypha: Jesus Christ and his inspired New Testament penmen quoted from, or alluded to, the writings and events of the Old Testament profusely. In fact, there are one thousand quotations or allusions from thirty-five of the thirty-nine Old Testament books are found in the New Testament record. And yet, significantly, not once are any of these apocryphal books quoted or even explicitly referred to by the Lord or by any New Testament writer. Noted scholar Emile Schurer argued that this is really remarkable since most of the New Testament habitually quoted from the LXX (1894, 99). Despite the fact that New Testament writers quote largely from the Septuagint rather than from the Hebrew Old Testament, there is not a single clear-cut case of a citation from any of the fourteen apocryphal books .... The most that can be said is that the New Testament writers show acquaintance with these fourteen books and perhaps allude to them indirectly, but in no case do they quote them as inspired Scripture or cite them as authority (Unger 1951, 101). 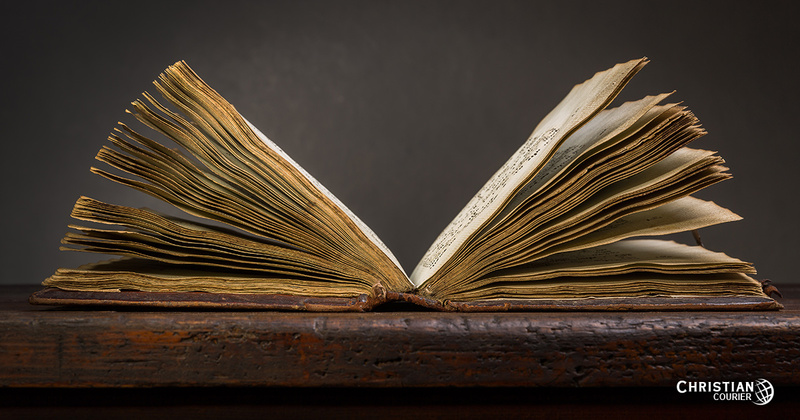 Apocryphal Books Do Not Claim Inspiration: It must be observed that the apocryphal books, unlike the canonical books of the Old Testament, make no direct claims of being inspired of God. When a comparison is instituted of the style of the Apocrypha with the style of the Biblical Hebrew Old Testament writings, there is a considerable inferiority, shown by the stiffness, lack of originality and artificiality of expression characterizing the apocryphal books (1980, 7). The Apocrypha contains a great variety of historical, geographical, chronological, and moral errors. Professor William Green of Princeton wrote: “The books of Tobit and Judith abound in geographical, chronological, and historical mistakes” (1899, 195). A critical study of the Apocrypha’s contents clearly reveals that it could not be the product of the Spirit of God. The following examples are ample evidence of this. Creation Contradiction: Rather than the creation being spoken into existence from nothing by the word of Almighty God, as affirmed in the Scriptures (Gen. 1:1; Psa. 33:6-9; Heb. 11:3), the Apocrypha has God creating the world out of “formless matter” (Wisdom of Solomon 11:17). Where Was Baruch? According to the prophet Jeremiah, Nebuchadnezzar burned Jerusalem on the tenth day, fifth month, of the nineteenth year of his reign (Jer. 52:12-13). Subsequent to this, both the prophet and his scribe, Baruch, were taken into Egypt (Jer. 43:6-7). At this same time, the Apocrypha claims that Baruch was actually in Babylon (Baruch 1:1-2). Contradictions With Itself: There are two contradictory accounts of the death of Antiochus Epiphanes, that dreaded enemy of the Jews. One narrative records that Antiochus and his company were “cut to pieces in the temple of Nanaea by the treachery of Nanaea’s priests” (2 Maccabees 1:13-16), while another version in the same book states that Antiochus was “taken with a noisome sickness” and so “ended his life among the mountains by a most piteous fate in a strange land” (2 Maccabees 9:19-29). When Did Tobit Die? Tobit is said to have lived 158 years (Tobit 14:11), yet, supposedly, he was alive back when Jeroboam revolted against Jerusalem (931 B.C. ), and then still around when the Assyrians invaded Israel (722/21 @B.C.2)—a span of some 210 years! (1:3-5). “Now I was a goodly child, and a good soul fell to my lot; Nay rather, being good, I came into a body undefiled” (Wisdom of Solomon 8:19-20). The foregoing was a common belief among heathen peoples, but certainly it is contrary to the biblical view that the soul of man is formed with him at conception (Psa. 139:13-16; Zech. 12:1). “Wherefore he made the propitiation for them that had died, that they might be released from their sins” (2 Maccabees 12:45). Roman Catholics cite this passage to find support for their dogma of praying for the dead to be released from purgatory, but the effort is vain. Obviously there’s no New Testament passage to buttress the notion. Alms for Sins: The Apocrypha suggests that one may atone for his sins by the giving of alms: “It is better to give alms than to lay up gold: alms doth deliver from death, and it shall purge away all sin” (Tobit 12:9). Suicide Noble? The apocrypha applauds suicide as a noble and manful act. Second Maccabees tells of one Razis who, being surrounded by the enemy, fell upon his sword, choosing “rather to die nobly” than to fall into the hands of his enemy. He was not mortally wounded, however, and so threw himself down from a wall and “manfully” died among the crowds (14:41-43). Magical Potions: It describes magical potions which are alleged to drive demons away (Tobit 6:1-17). Murder Applauded: The murder of the men of Shechem (Gen. 34), an act of violence which is condemned in the Scriptures (cf. Gen. 49:6-7), is commended and is described as an act of God (Judith 9:2-9). These, along with various other considerations, lead only to the conclusion that the Apocrypha cannot be included in the volume of sacred Scripture. Does Psalm 22 Prophesy the Crucifixion of Christ? Bruce, F. F. 1950. The Books and the Parchments. London, England: Pickering & Inglis. Green, William. 1899. General Introduction to the Old Testament. New York, NY: Scribner’s & Sons. Horne, T. H. 1841. Critical Introduction to the Holy Scriptures. Vol. 1. Philadelphia, PA: Whetham & Son. Manley, G. T. 1962. The New Bible Handbook. Chicago, IL: Inter-Varsity Press. Schurer, Emile. 1894. Schaff-Herzog Encyclopedia of Religious Knowledge. Vol. 1. New York, NY: Funk & Wagnalls. Surburg, Raymond. 1980. The Christian News, November 24. Unger, Merrill F. 1951. Introductory Guide to the Old Testament. Grand Rapids, MI: Zondervan.